Senior traffic officers have said that the removal of 500 miles of hard shoulder along sections of Britain's motorway network will pose "significant risks" to motorists. They have called for plans to take away the sections of hard shoulder to be scrapped, as drivers who break down will be left with nowhere to go – and stranded drivers could be put in even more dangerous situations. The idea behind the move is to ease congestion on busy roads, allowing traffic a fourth lane to provide extra room for gridlocked sections of motorway. However, many have said that the move would make it more difficult for emergency services to reach their destinations. Foreign HGV drivers have been mistakenly using emergency lay-bys to sleep in on roads that have already been converted, too. A total of 212 miles of motorway have already had their hard shoulders converted into an extra lane, with emergency lay-bys spaced every 1.5 miles. These 'smart motorways' have changing speed limits to keep traffic moving freely, while blocked lanes are closed by red X symbols displayed on overhead gantries. However, Metropolitan Police has criticised the plans to increase the numbers of motorways included, saying that the changes would be counterproductive. It said that a broken-down vehicle on a motorway without a hard shoulder "is far more likely to result in a serious injury or fatality", according to The Times. 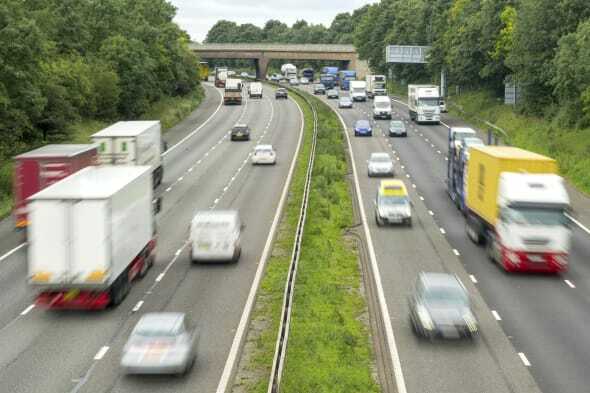 A spokesman for Highways England told the paper: "As we gradually roll out these upgrades on other motorways we will continue to work closely with all the emergency services so we can ensure safety is maintained."